A paper by lead author Greg Rybarczyk, Associate Professor of Geography and GIS at U-M Flint, and Syagnik Banerjee, Associate Professor of Marketing at UM-Flint, has been accepted for forthcoming publication by the Journal of Location-Based Services. 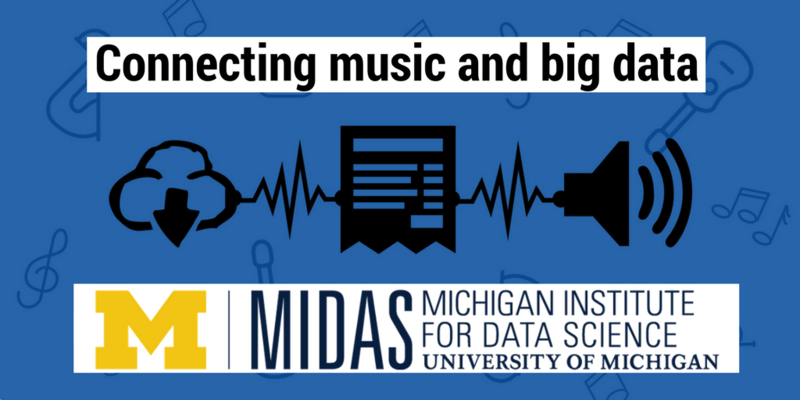 Both Banerjee and Rybarczyk are MIDAS Affiliated Faculty Members. Abstract: Commute stress is a serious health problem that impacts nearly everyone. Considering that microblogged geo-locational information offers new insight into human attitudes, the present research examined the utility of geo-social media data for understanding how different active and inactive travel modes affect feelings of pleasure, or displeasure, in two major U.S. cities: Chicago, Illinois and Washington D.C. A popular approach was used to derive a sentiment index (pleasure or valence) for each travel Tweet. 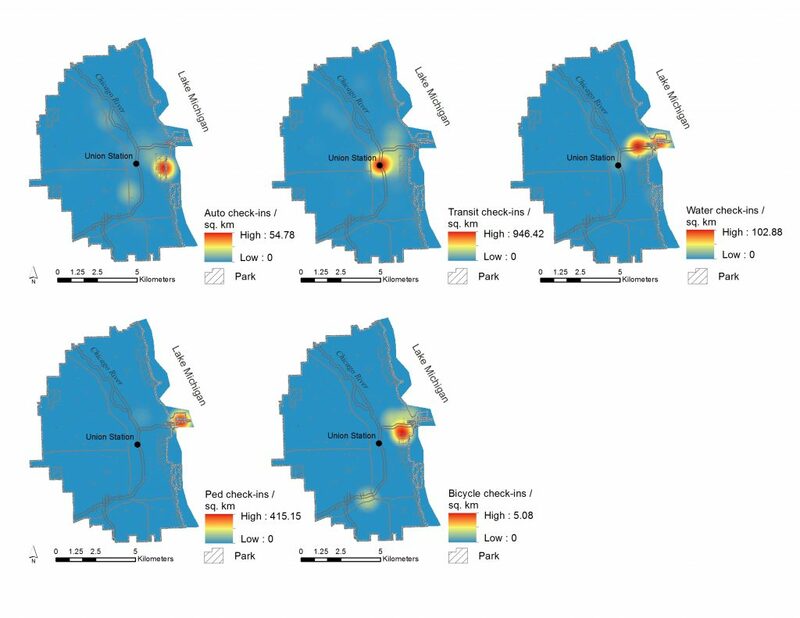 Methodologically, exploratory spatial data analysis (ESDA) and global and spatial regression models were used to examine the geography of all travel modes and factors affecting their valence. After adjusting for spatial error associated with socioeconomic, environmental, weather, and temporal factors, spatial autoregression models proved superior to the base global model. The results showed that water and pedestrian travel were universally associated with positive valences. Bicycling also favorably influenced valence, albeit only in D.C. A noteworthy finding was the negative influence temperature and humidity had on valence. The outcomes from this research should be considered when additional evidence is needed to elevate commuter sentiment values in practice and policy, especially in regards to active transportation. Concentration of check-ins across different travel modes across different parts of the city of Chicago.